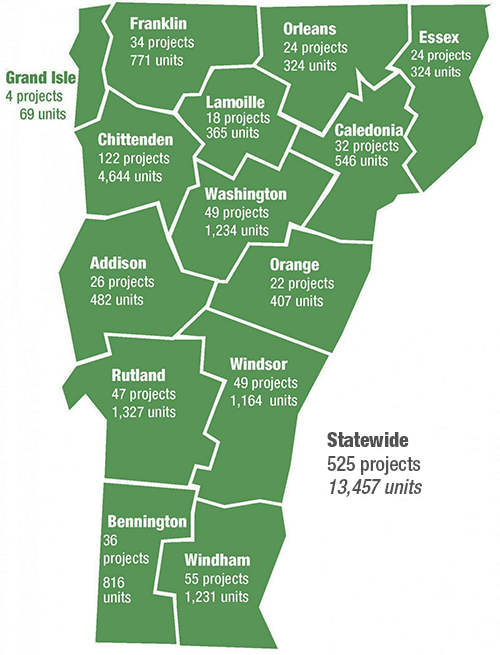 Loans on multifamily housing projects are made directly by VHFA to community-based or statewide nonprofit agencies or organizations and private for-profit developers who are committed to creating and preserving housing for low- and moderate-income Vermonters. Acquisition, rehabilitation, construction and construction/permanent loans from VHFA are primarily made in conjunction with the allocation of federal housing tax credits. Most projects are funded through the issuance of tax-exempt bonds but also require public or private funding sources. For more information on development loans, contact Joe Erdelyi, Josh Slade or Sarah Woodward.